Wouldn't it be great if kids all over Nebraska were talking about books? The Nebraska Library Commission & the Regional Library Systems have a program where kids can all read and discuss the same book. The Nebraska Library Commission and the Regional Library Systems have book bags for many, but not all, of the selected titles. To borrow the book bags, contact the Commission Reference Services, 402-471-4016, 800-307-2665, e-mail, or the Regional Library System offices. For more information contact Sally Snyder, Coordinator of Children and Young Adult Library Services, 402-471-4003, 800-307-2665. Guidelines can be found here. These are thought-provoking books to read anytime and librarians may borrow the book sets whenever they are available and fit into their library or school's schedule. The Library Commission has many other book bags available - check them out here. 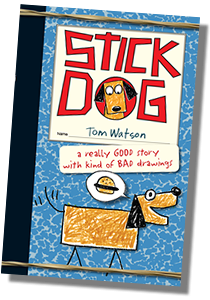 Hear about this program from the NCompass Live archived recording of the "One Book For Nebraska Kids & One Book For Nebraska Teens, with 'Stick Dog' author Tom Watson! - Recorded Online Session". Beginning in 2013 we select both a One Book for Nebraska Kids and a One Book for Nebraska Teens every year. Prior to 2013 we alternated choosing titles. The "Kids" book is aimed at grades 4-6 or so and the "Teens" title is often aimed at high school age readers. 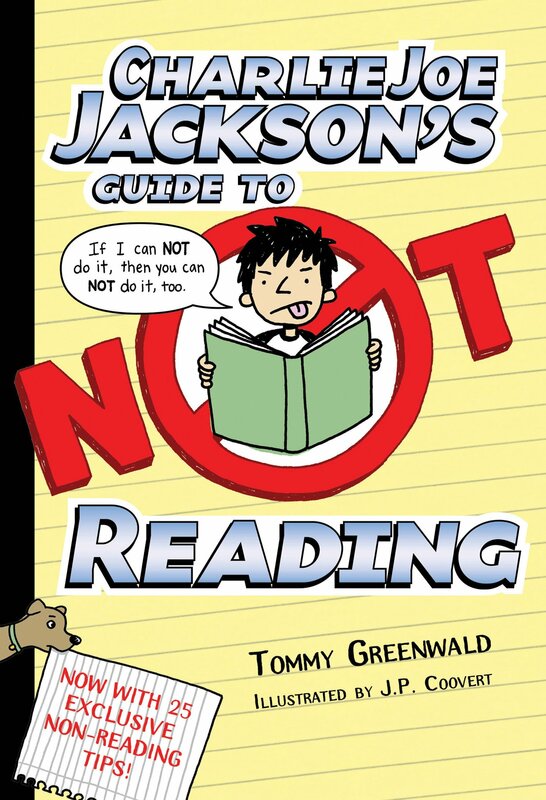 Charlie Joe Jackson is in middle school and hates to read. He prides himself on never having read a book. Ever. While he tells of his experiences in class and with his friends, he also gives the reader 25 hints and explains how his approach has worked for him. But there are some humorous situations and circumstances that begin to get in the way of his continuing his record. 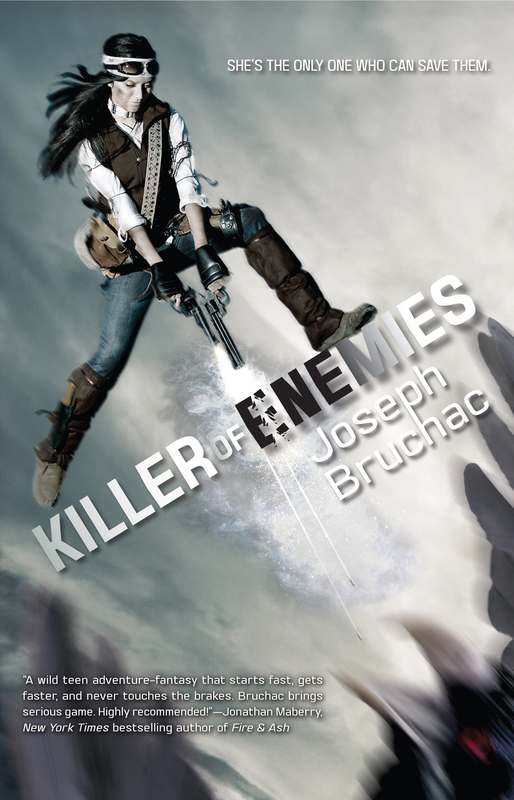 Named for a legendary Apache heroine, Lozen, 17, is skilled in killing the giant, genetically engineered monsters that roam the countryside. Now that the Cloud has caused most machinery to quit, the world is a different place. Her mother, brother and sister are being held by the four heads of Haven, the former prison now being used to keep the monsters out and the slaves in. If Lozen can continue to survive, she plans to eventually free her family. Alcatraz Smedry kicks off his thirteenth birthday by burning down his foster mother’s kitchen… and it’s all downhill from there. 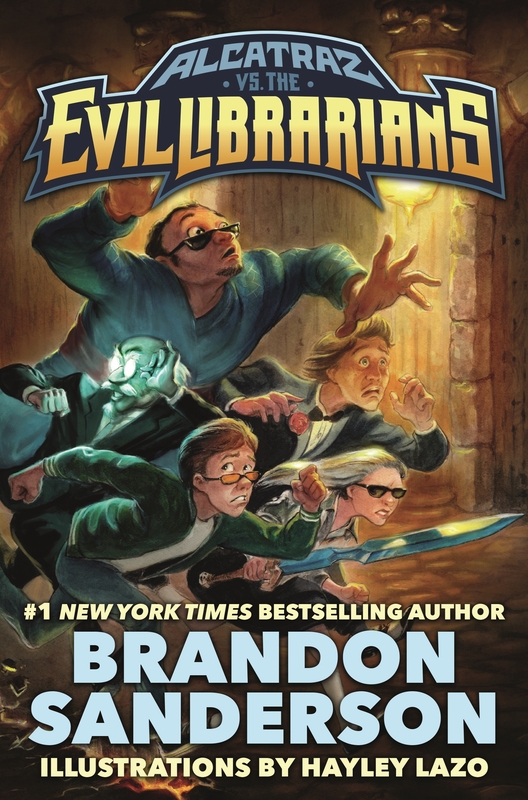 The arrival of a small bag of sand and a strange old man claiming to be his grandfather pulls Alcatraz into the adventure of a lifetime, full of magic, mayhem, and…a cult of Evil Librarians? While he’s not a “nice person” by nature, Alcatraz also doesn’t like to be shot at, so he goes along to help Grandpa Smedry and his band of Freelanders save the world from the librarians. Along the way, he discovers that the world as he knows it is a lie perpetrated by the librarians and that his tendency to be clumsy and break things (or set them on fire) is actually a superpower. What else will Alcatraz discover about the world and himself? With offbeat humor, high adventure, and endearing characterization, this book should appeal to all lovers of the fantastical. Bass Reeves is the greatest western lawman you’ve never heard of. While many people idolize Butch Cassidy, Wyatt Earp, and Billy the Kid, very little has been said about the former escaped slave who became the most successful U.S. marshals of his time. 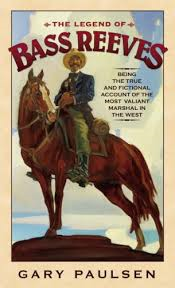 Born a slave on the western prairie, where he lived with his mother and helped wrangle wild cattle, Bass becomes a fugitive and escapes into Indian Territory after a dispute with his master. Bass lives with a tribe of Creeks for over 2 decades, until slavery is abolished, and is then recruited to help capture dangerous outlaws. Gary Paulsen does a masterful job filling in the unknown details of Bass’s life on the run and his later years as one of the first African American federal marshals in this fictionalized biography. A humorous tale of a group of dogs who plot to steal the hot dogs and hamburgers from a family enjoying their picnic in the park. Stick Dog is the leader and is very tolerant of the less useable ideas from his friends Karen, Poo-Poo, Mutt and Stripes. Eventually, after many side trips and discussions, they have a better day than they ever imagined. Lots of white space and the stick art style of drawing will appeal to readers looking for a quick yarn. 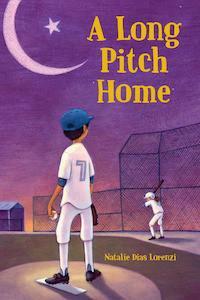 This book will be enjoyed by readers in grades 3-6. Do you like abduction, escape, and paranoia? Then you’re sure to enjoy this speedy, suspenseful mystery. Imagine waking up and hearing “Take her out back and finish her off.” Then the realization you don’t know who you are. You can fight, drive, troubleshoot your situation, but your back story is a mystery. 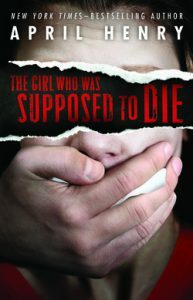 Would you help a girl that seems totally bewildered, out of sorts, and over her head in trouble? Ty did, running from the guys with guns, stealing cars, and trying to stop a biological warfare virus from destroying her family. The program was on hiatus. David, nicknamed Scrub, is sent from Florida, where he had all kinds of plans with his best friend, to Washington to stay with his grandmother for the summer. She has a bed and breakfast and he is certain a long boring summer is ahead. He soon learns his grandmother's reputation as a "crazy lady" is well founded -- her visitors are from other planets. Soon Scrub is helping new arrivals to touch up their disguises and trying to keep the prying sheriff, who knows something is off with the place, out of his grandmother's hair. Clever touches, such as the descriptions of the many - very different - aliens add to the fun. 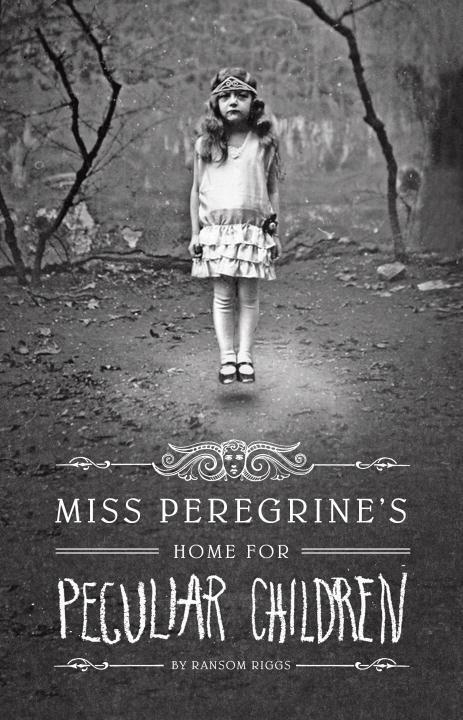 Certain to appeal to reluctant readers, this looks like the beginning of a wonderful series. Set in an alternate version of World War I, German Central Powers (Clankers) use mechanized war machines opposed by British Entente Powers (Darwinists) who fabricate living creatures genetically. Heroes are teens Aleksander (15), son of Archduke Franz Ferdinand, and Deryn (15), a Scottish girl who joins the British Air Service hoping to serve aboard one of the floating fabricated animals. 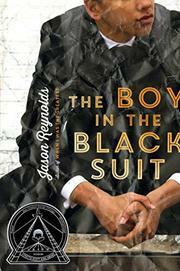 This award-winning, first-in-series novel epitomizes the steampunk genre in young adult fiction. Blank Confession by Pete Hautman, is for high school age teens. Shayne Blank (16) has walked into the police station to confess to a murder. The detective, George Rawls, is intrigued by his manner: calm and matter of fact. We hear Shayne's story from two points of view: the detective, and one of his classmates, Mikey. This year's book is for grades 4-6 or so. 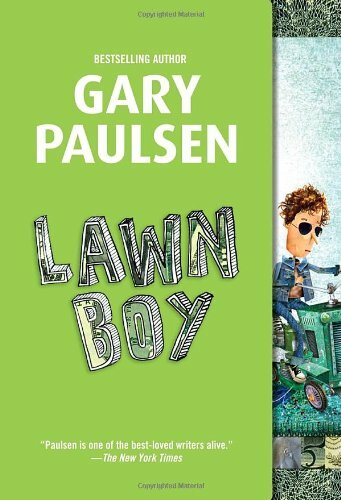 Wil David, has just turned 12 and takes over his brother's newspaper route just in time to find out the newspaper will no longer be provided to his town, Steele. He is determined to fight it. On another front, he decides to investigate a new game at the fair, which promises a $1,000 prize, and he wonders what the catch is. Wil uses the library a lot and is a good researcher. His determination won him the nickname "Wil of Steele." Readers will be curious about the outcome of both issues. This year's book is aimed at high school age Nebraska teens. Unwind, by Neal Shusterman, tells of a future America where parents can choose to have their children between the ages of 13 - 18, "unwound" (their body parts are harvested and given to others). Connor, 16, is shocked when he discovers his parents have decided to have him unwound. He runs away and strives to survive, encountering others like himself. Neal Shusterman (author of our One Book for Nebraska Teens 2010-2011, Unwind) Visited Nebraska! This year's book was aimed at upper elementary age Nebraska children, grades 4-6. It is about Dewey Kerrigan, 11, who travels to New Mexico in 1943 and meets up with her father, who lives on a secret base and is working on a top secret project with a number of other scientists, including J. Robert Oppenheimer. Ellen Klages toured Nebraska in October 2009: Kimball, Scottsbluff, Alliance, North Platte, Gothenburg, Grand Island, Hastings, Seward, Norfolk, Prague, Clarkson, Wayne, West Point, Scribner, Louisville, Lincoln, Elmwood, Plattsmouth, and Omaha. Narrated by Death, The Book Thief tells of Liesel (age 10 at the beginning of the book), who travels to Molching, Germany to live with foster parents; and the effects World War II has on the home front in Germany, and on the people the Nazis are rounding up. To cope, Liesel begins to steal books, even before she has learned to read. This year's book is aimed at fourth to sixth graders. It is about a boy who risks a lot to try to rescue a bear cub.